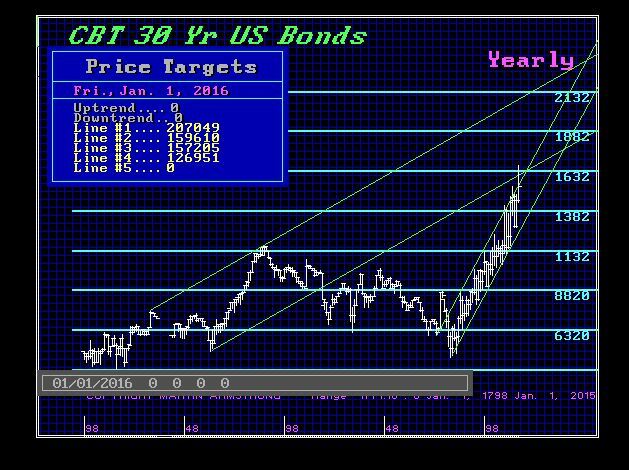 On July 11, 2016, the 30-year bond peaked on the nearest futures at 177110. 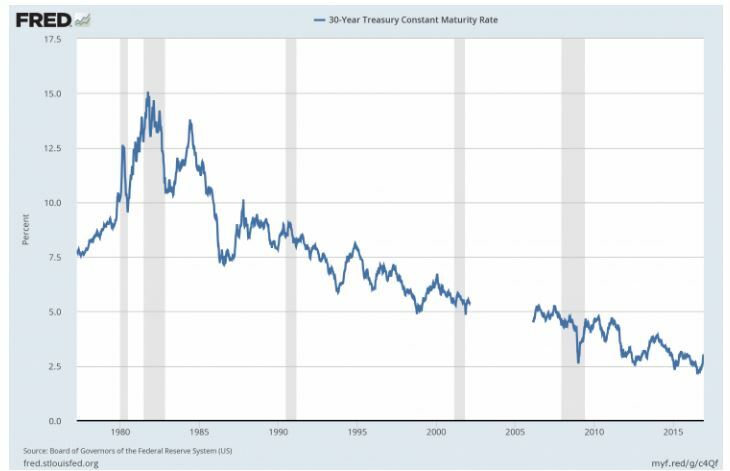 The 30-year Treasury yield fell to 2.088%, and on that day, the Swiss government actually found some real suckers to buy 50-year bonds at negative yields out to 2076. The buyers will not be around to experience the official default, so why would they really care. This was the end of the bond bubble, and despite all the banter and opinions, this is a major, major, major peak in government. There is NOWHERE to go but down from here on out. If you own any bond fund, you better get out. This is a real game changer, and of course, every bond fund manager will tell you the stock market will crash so buy bonds. The yield on the 30-year bonds peaked in 1981 with the precise high in the Economic Confidence Model. 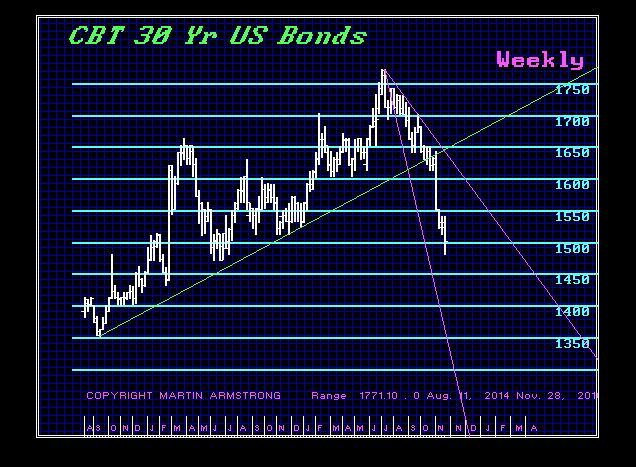 This was a perfect 35-year decline (the gap on the chart is when they stopped issuing 30-year bonds). The 2015 closing was 15340. We closed yesterday at 151060. What is the significance of this? A lower closing for 2016 after making a new intraday high will technically be the kiss of death. Here is the yearly chart of the 30-year using our recreation and extending the data series back to the beginning of the United States. We have important technical resistance at 159610 and 157205 for the closing of 2016. Then 2016 was our target for the high and you can see this was also a Directional Change. 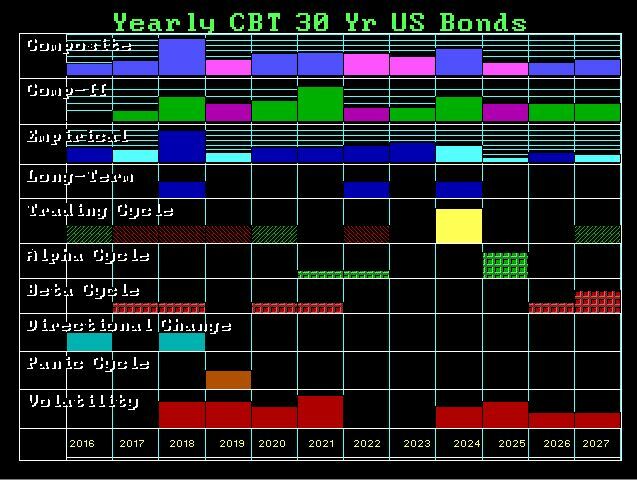 We should expect to now see the bonds fall over the course of the next two years going into 2018. This will most likely be accompanied by a rising dollar and stock market with interest rates. We can see that the volatility will start to really become pronounced in 2018.